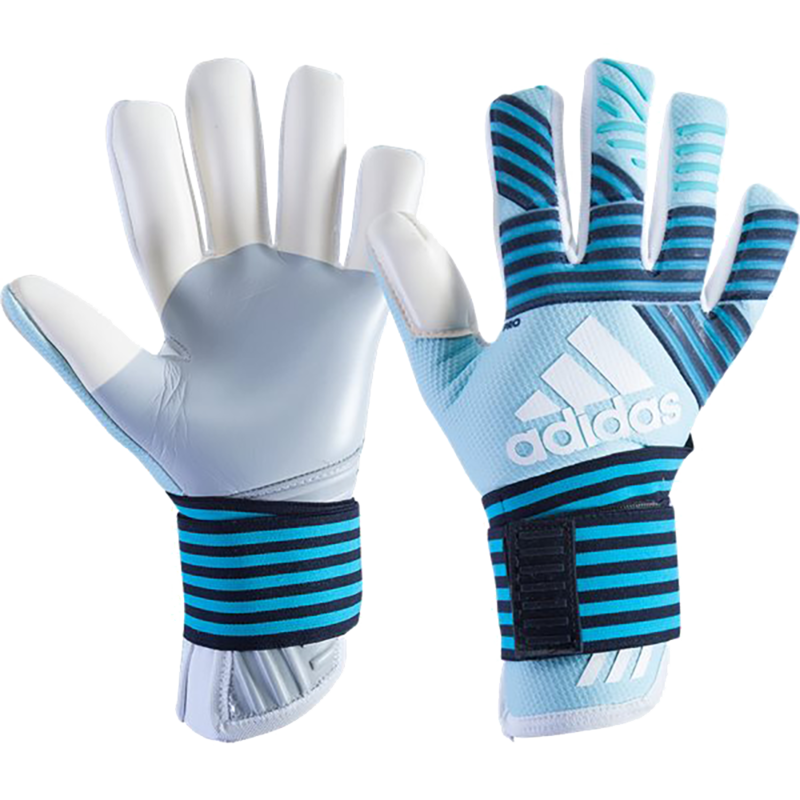 Perfect adidas soccer goalkeeper glove for the keeper that likes a tighter fit. The Ace Zones Pro has increased grip with the new Evo Tech Zones. Stretch strap for a custom fit for advanced keepers. 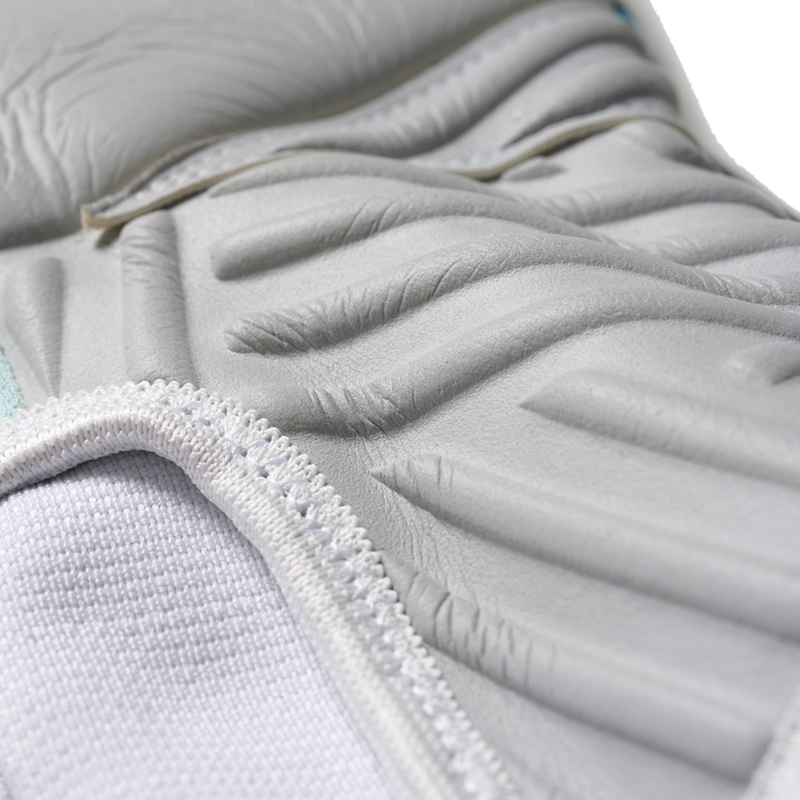 The best grip in the Adidas goalkeper glove range with the EVO Zone targeted latex. EVO Zone latex engineered together to provide a seamless transition to offer more comfort, control, and optimum shock absorption on the palm. New embossed latex at the base of the palm to increase the durability. New 3D embossed extended palm for more latex to ball contact for saves and throwing. Adidas designed the Ace Trans Pro with a neoprene like backhand for extreme comfort, control, breathability. The newly designed backhand features better quality rubberized punching zone to help protect the goalkeeper's knuckles when punching the ball. Big white adidas soccer logo. Well designed colorway with a combination of Energy Aqua, Energy Blue, Legend. The new Ace Transition Pro is a better fitting Negative Cut. In the past it was too tight. Through an engineered, in-hand pattern, this special negative cut with latex gussets ensures a seamless touch. 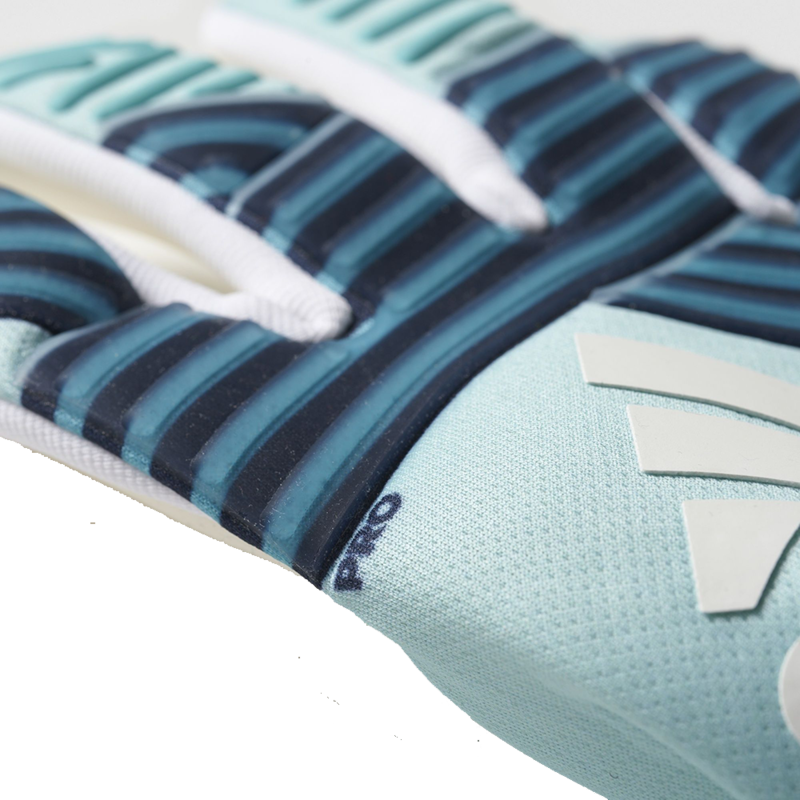 The negative cut is ideal for those who like a snug fit from their goalkeeper gloves. 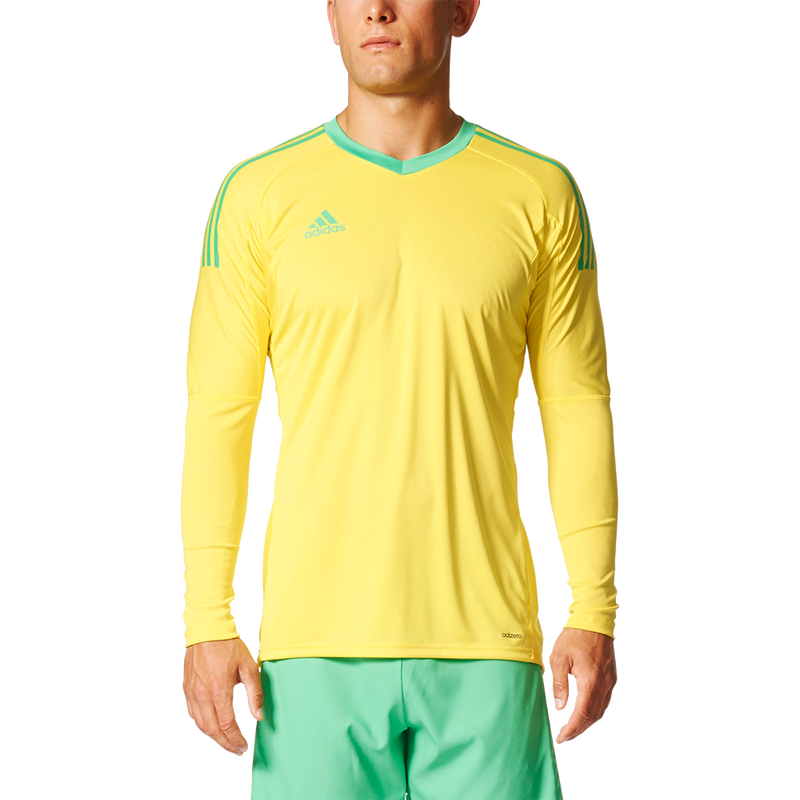 80% of adidas' endorsed goalkeepers wear this cut. This is a very snug fitting glove by design. The glove fits like a second skin, so works well for goalkeepers with longer slender hands. All glove cuts are not appropriate for all goalkeepers. Call if you have questions on the fit and cut for you. Close fitting neoprene bandage, with revolutionary fit that offers excellent comfort and support. 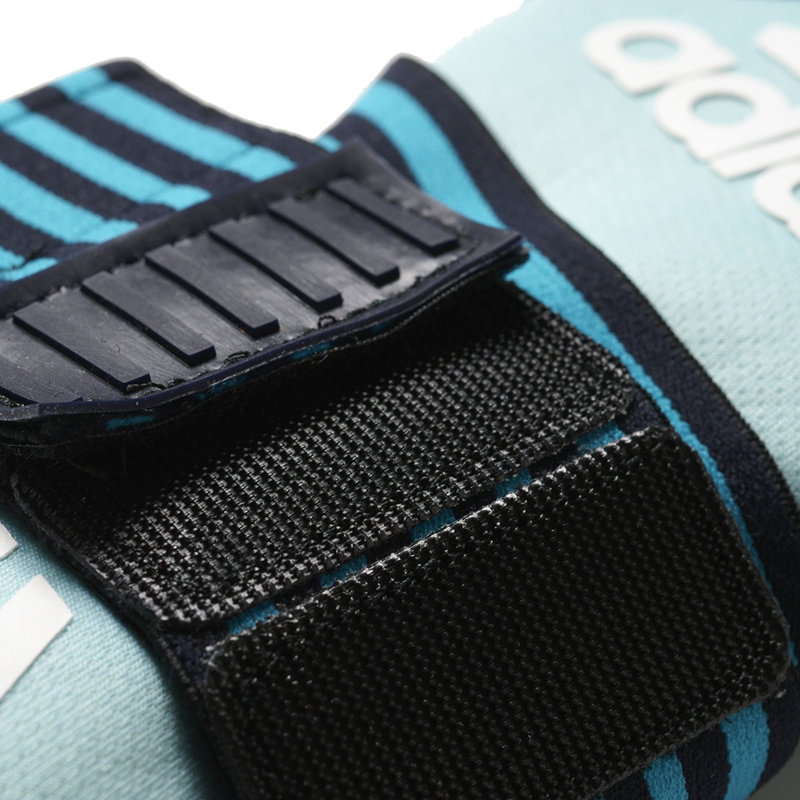 The wrist strap features Adidas' stretch strap for individual fit and adjustments. Best stabilization characteristics are assured by this new strap. New easy side stretch area to slip the adidas goalie glove on and off. More comfortable than earlier version. Black and Energy blue stetch strap. 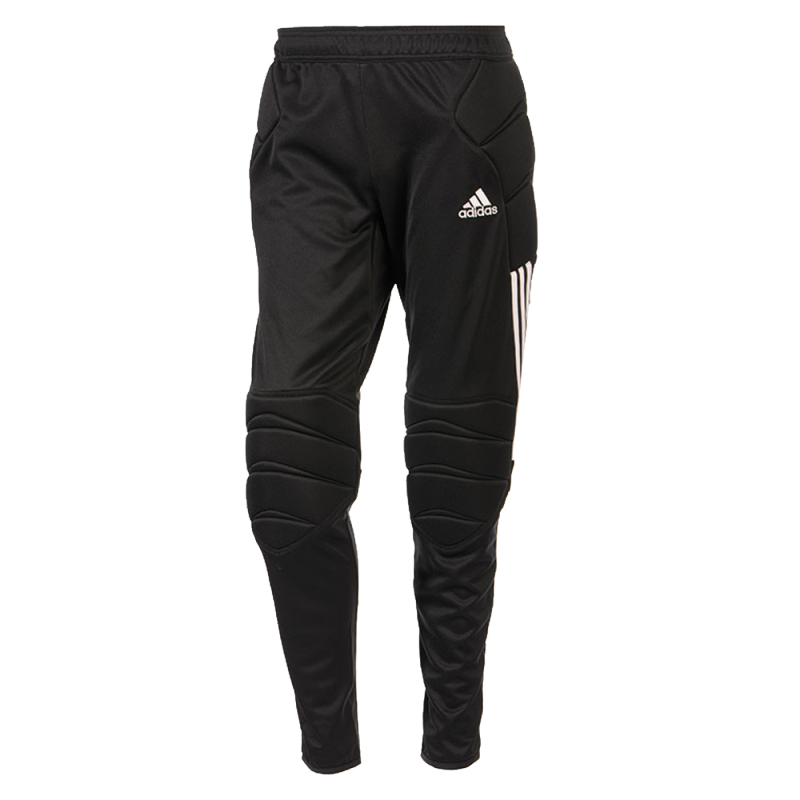 Male or female advanced goalkeepers that prefer a tight fit. BS4116 Adidas Ace Trans Pro is available in male and female adult sizes. New updates to the goalkeeper glove will make this a popular negative cut option.